Depends upon magnetic lifting or Holding Application we offer magnetic chuck/lifter Controller. 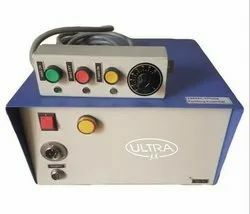 These Electro Magnet Controller are designed for high durability and smooth operation on all surfaces. It is used to detect and check the vehicles before their entry to the important places. It is easy to use while presenting the least amount of fatigue to the user. These are designed precisely in different compact designs and specifications laid down by our clients.